This amazing home and horse farm on 30.6 acres is move in ready! 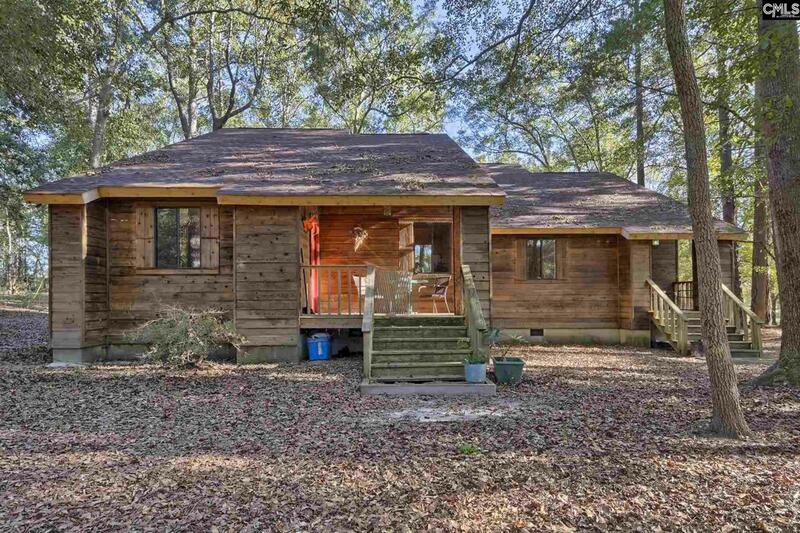 Located only 15 mintues from the VA Hospital, I-77 and convenient to McEntire, Shaw and Ft Jackson, as well as the center of horse activities in Camden and Aiken, is ready for the horse lover in you to fall in love! The Barn, fencing, dressage and jumping rings were built in 2017-18 on established Tifton 44 pastures. Underground electrical to barn; freezer less faucets in barn and all pastures along shed row, and security cameras at barn are just a part of the features in the 9 (12x12) stalls, wash rack, tack room, grain room, and living quarters are almost complete! The living quarters have a large den area, full bath and kitchenette! Also included are 7 large pastures in 4' wrapped wire; Dressage and Jumping Ring are both 200x250 feet with sand footings! The home has had all new flooring; paint; kitchen and bath cabinets; granite countertops; new appliances; remodeled baths; all in this unique design perfect for in-law suite or older teens to have their privacy, or open back up for huge flow through home. This is a one of a kind cedar home surrounded by gorgeous oaks, pastures and lots of room for the two and four legged kids to run! Owner still gives riding lessons and must have an appointment to view, so please call Agent to set up. © 2019 Consolidated Multiple Listing Service, Inc. All rights reserved. IDX information is provided exclusively for consumers' personal, non-commercial use and may not be used for any purpose other than to identify prospective properties consumers may be interested in purchasing. Information is deemed reliable but is not guaranteed accurate by the MLS or Home Advantage Realty, LLC. Data last updated: 2019-04-20T09:39:56.24.